Hello, i'm real new with cb in general. I'd like to learn more about it though. I have a radio, though it isn't working. What would be the appropriate forum to post for help with it? It's certainly an older model, but i like vintage electronics and i'd like to get it working again. Thanks. 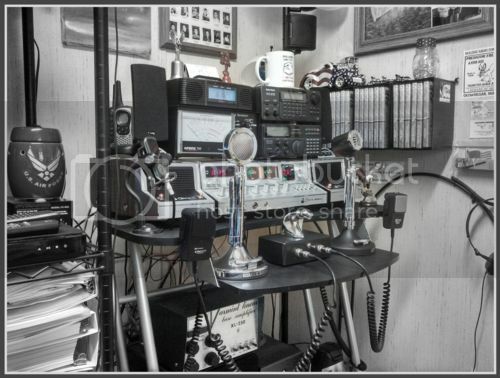 https://www.facebook.com/groups/vintageCBradio/ is a pretty good place to get answers pertaining to vintage CB radios as most of the members of that group are heavily into it. There are a lot of us love Vintage radios , that being said there are chances you take . I have been lucky .Sometimes parts are hard to get . Try to find a good technician and stick with him or her . What kind of CB was it and does it even light up ? Welcome Jackal from Massachusetts to CB Junkies, enjoy!